NOTES: The Wild signed G Mat Robson and F Alexander Khovanov to entry-level contracts. Khovanov was Minnesota’s third-round draft pick in 2018. Robson, a free agent, finished his junior season at the University of Minnesota. 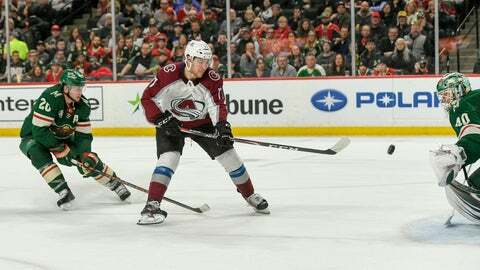 … Colorado’s Matt Calvert and Minnesota’s J.T. Brown dropped the gloves for a second-period fight. … Both teams won two games in four total meetings this season.